Each year, over 100,000 people ride the Cardinal, a passenger train between New York City and Chicago operated three times weekly by Amtrak. 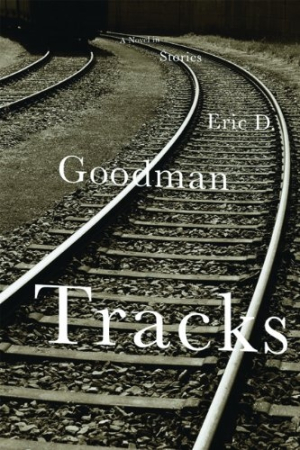 In his first novel, Eric D. Goodman chronicles the lives of a number of these passengers as they make their way through the night from Baltimore to Chicago. Like a collection of one-act plays, each scene is a tightly scripted vignette highlighting the life of a single character. And while each chapter of the novel is a standalone story, characters have roles to play in several. A minor character in one chapter becomes the main character in another, as each person waits a turn to take center stage. The people Goodman has collected for the ride are as diverse as the countryside in this 1,100-mile train trip. Among others, he introduces us to an obsessively organized and controlled businessman, a Holocaust survivor haunted mercilessly with memories of more ominous and brutal train rides, a hit man for the mob, an archetypical, hard-living traveling salesman, and a poet. The author has a knack for easily and quickly evoking a sense of place, here deftly describing the seasonal life in Baltimore’s Inner Harbor: “In the humid days of summer, descending from the hill into the harbor was like sinking into a familiar hot tub.” At the terminus of the journey, Chicago is more of a bit player than was Baltimore. Goodman includes passing references to the Hancock Building, which looms ominously in the background in one story, Grant Park, and similar landmarks, but his focus remains the people on the train. The literary device of having the principal characters launched on a journey is well established, calling to mind examples as divergent as Chaucer and Zane Gray. If not done well it can be a cliche. Goodman handles the device deftly and the result is a compelling novel.